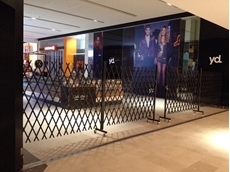 Westfield Fountain Gate is relying on multiple extendable gates from ATDC to control access as well as secure the tenancies in the building. 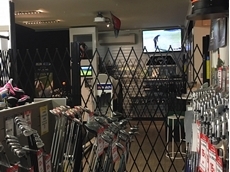 ATDC has been engaged by Drummond Golf to install extendable barriers at several of their retail stores across Australia. 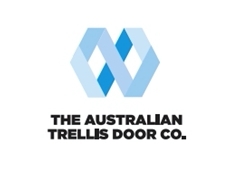 The Australian Trellis Door Company (ATDC) has recently completed the installation of multiple sets of their extendable safety gates at two hospital sites. 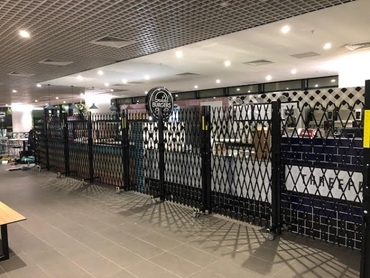 ATDC’s extendable safety gates were installed at Perth Children’s Hospital across numerous eateries and fast food restaurants in the hospital’s food court area. The safety gates were required to be installed for health and safety reasons and also as a loss prevention solution. 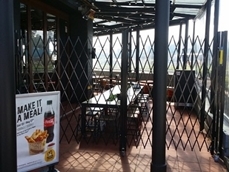 ATDC’s safety gates were found suitable for the application since the kiosk style restaurants and eateries did not have any walls or ceilings, and were completely devoid of any support structure. ATDC’s extendable safety gates require no support structure since they are portable, mobile and trackless, operating on a series of heavy duty bottom thermoplastic castors with the ability to lock into the finished floor. This cost effective lock-up solution prevents the public from gaining access to the food being stored onsite overnight, meeting health and safety as well as loss prevention challenges faced in the hospital’s food court. 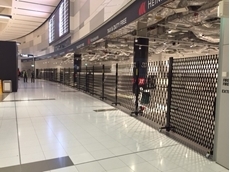 In a similar installation at Sydney’s Prince of Wales Hospital, ATDC’s extendable safety gates provide an effective lock-up solution to numerous retail tenancies and medical speciality practices, especially where there is an absence of a support structure to support any alternate type of overhead door system or in cases where the support structure is simply inadequate. ATDC’s gates are Worksafe certified under current OH&S legislation and the company has a fully audited and documented WH&S Risk Assessment certification. The gates have also been tested for safety under the Temporary Fencing provisions of the Australian Standards 4687-2007. ATDC’s extendable safety gates are now sold in Sydney, Melbourne, Brisbane, Adelaide, Perth and Canberra as well as in all regional towns across the country. ATDC can ship the safety gates, both nationally and internationally as an easy-to-install DIY system; the product is now successfully exported to many countries in the Asia Pacific, South East Asia, the Pacific Islands and the UAE. For further information on ATDC’s full range of extendable safety gates, please visit their website or call toll free from anywhere in Australia on 1800657435.